Thinking about social networks and digital online tools allows us to question how students use them. It is also interesting to examine the popularity of social networks and digital online tools. 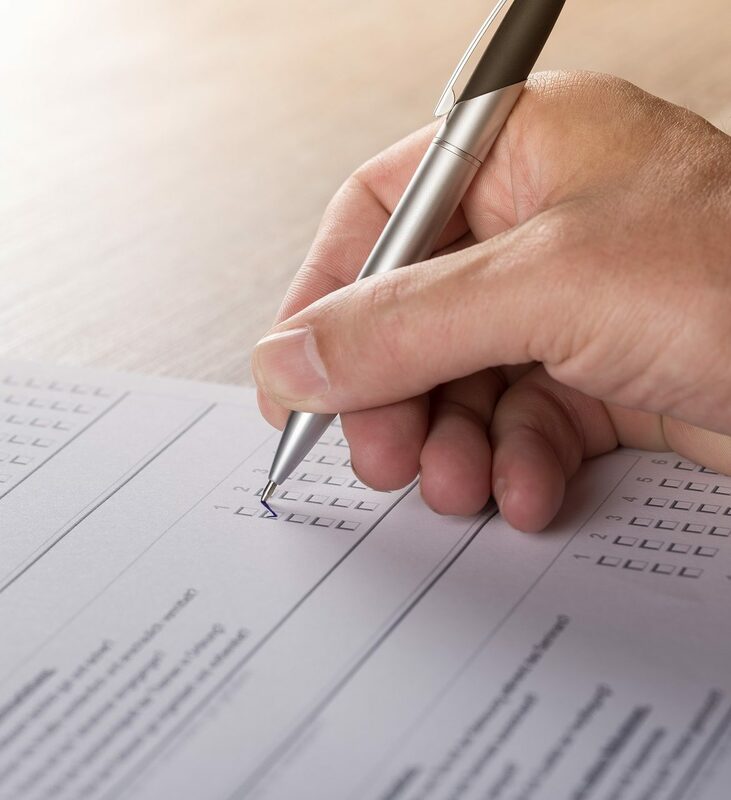 A survey was conducted encasing the result of 29 students. 22 of the 29 students study economic sciences and 7 students study educational sciences. 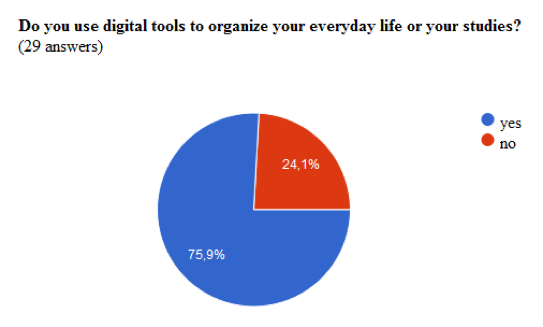 Approximately one student out of four uses digital tools to organize their daily life or studies. Furthermore the students were asked to specify which tools they were using, the name and how it worked as well as why they use it. The results are mixed due to the fact that not all students use the same Apps. Studies showed that the most frequently used Apps were Outlook and Google Docs. 18 students used digital online tools to work together with colleagues on projects and documents. During the collaboration the majority of students used Dropbox, Share Point and Trello. The study was specifically interested in learning about digital online tools/apps that are known for collaborative learning and working. 12 students replied to the question, e.g. saying: “Cloud”, “simplification of communication” and “Trello”. Furthermore, we asked the students if they knew about certain tools: Evernote, Trello, Realtime Board, Onenote, Mindmaster, WiseMap, WordPress, Mediawiki, Google Docs, Dropbox, Seafile, Etherpad, Slack, Socrative, SurveyMonkey and Mind24. Dropbox has the highest recognition rate, 11 students reported that they knew of it. WordPress and Etherpad have the second highest recognition rate. Both were recognized by 5 students. 2 students knew Evernote and Onenote, however, only one student recognized MindMaster. 6 people admitted to use Dropbox, 3 people used WordPress. Trello, Google Docs, Seafile and Etherpad are each known by only one person. We also wanted to know of students have accounts on social networks like Facebook, Xing and so on. And we would like to know for which purpose they use it. During the questioning 27 students answered our question about their presence in social networks. 26 people are signed up for Facebook, while 8 people are using Xing. LinkedIn is used by 3 people and 4 people make use of miscellaneous social networks. 27 of the 28 respondents utilize social networks for personal usage. 10 people of the sample use social networks for work-related issues. 9 people use it for studies. When asked about their Facebook application, 25 out of 27 interviewees admitted to using it for personal reasons. 6 people utilize it for professional usage and 7 for studies. 2 students do not use it at all. 2 out of 25 students use Xing for personal reasons. 8 students make use of Xing for work-related reasons. Only 1 student uses it for studies. 17 students reported no usage at all. To explore the usage reasons of LinkedIn we asked about the purpose of it. None of the students used Linkedin for studies and private issues. 3 students use LinkedIn for professional reasons and 21 students do not use it at all.